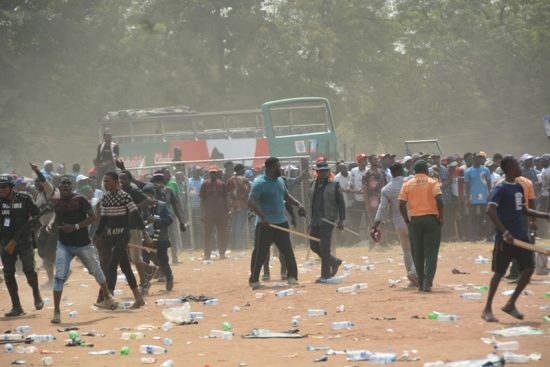 The main opposition, Peoples Democratic Party had been due to hold a “mega-rally” in Abuja, but said it was shut out of the venue despite having made payments and obtained official approval. It blamed President Muhammadu Buhari and his All Progressives Congress and called the move “provocative” and a sign of “desperation”. TheAPC is bullish about Buhari’s chances of re-election. But the chairman of the Independent National Electoral Commission, Mahmood Yakubu, has said he sees “no reason” to postpone.